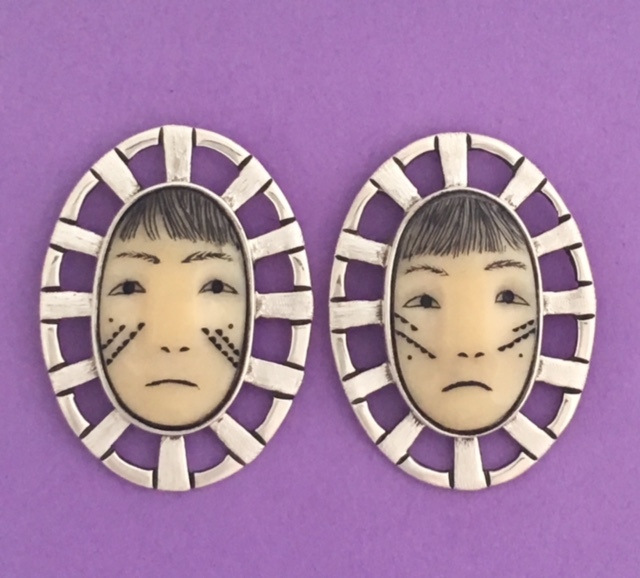 Description: This design comes from a mask carved by both Yup’ik and Athabascan natives. The idea of the woman in the moon reminds us of our sister who became the moon. The first ‘Woman in the Moon’ piece I made reminded me of my grandmother. She had 14 children and lived to her early 80s. This piece reminds me of her.